The next thing in EQ is finally here: Next in EverQuest is live! Unlike here where I cover all things shiny in gaming, NiEQ is an in-character journey though the various lands of Norrath. (And yes, I still have faith that SOE will give us a Norrath-enforced realm in Landmark!) And if you join in the journey with me, you can win a Settler Founders Pack. Many of you know me in game as some form of Emy, since naming conventions have always had an issue with MJ. 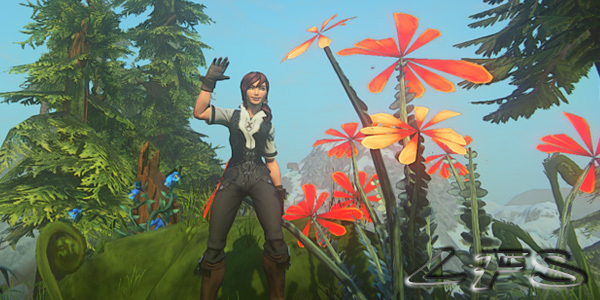 NiEQ will follow the adventures of my character in all EQ titles — EverQuest, EverQuest II, Landmark, and EverQuest Next. Each game will have its own distinct travelogue on the site, so you can follow one or you can follow them all. Starting off are adventures in Landmark. And now for how you can win the permanent Landmark Founders Pack and dispense with those seven-day codes. All you need to do is register an account on both NiEQ and here on Looking for Shinies, then post a reply right here! If we reach at least 50 registered followers of both sites by June 7th, 2014 at 12:00 p.m., we’ll have a random drawing with all names for the winner! So tell your friends and take a chance at nabbing your own unlimited beta access complete with founders goodies. We haven’t reached our goal, so the contest time is extended! For those who have applied, don’t give up hope, and let your friends know about it.